Tian Chen is a PhD candidate in Strategy and Entrepreneurship at Kenan-Flagler Business School at University of North Carolina. His research interest focuses on technology and innovation. His dissertation "Why Firms Sell Their Intellectual Property" looks at transaction of intellectual property. His research interests include markets for technology, intellectual property rights, and innovation. His CV can be found here. 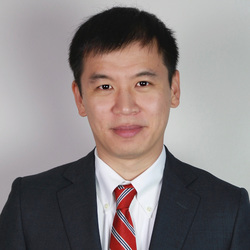 Tian graduated from University of North Carolina in 2012 with an MBA and from Cornell University in 2007 with a BA in Chemistry and Economics. His industry experience includes working as a Business Analyst at Capital One Financial and as a Finance Intern at AT&T. Outside of school, Tian enjoys playing ice hockey and going fishing.